Does Business Website Really Demand Mobile App Development? 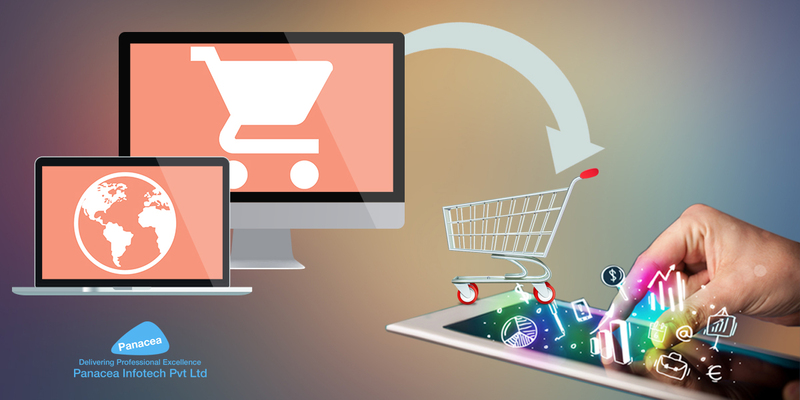 E-commerce has been on the rise since last few years, and desktop sales still prevail over mobile sales though, advancements in application development can encourage a surge in mobile commerce (or m-commerce) seniority. The demand for mobile app development in retail is growing each year. Moreover, today’s retail industry heavily depends on an immediacy standard. As people are spending more time on their smartphones, businesses have to be compelled to adapt to accommodate the universal shift transitions towards mobile preference. Branching out into the mobile app market may be a win-win for retailers. Mobile apps provide retail brands an true chance to offer customers the immediate, personalized shopping experience they like. In meantime, e-commerce store owners will leverage mobile features and in-app analytics to draw in, retain, and intuitively perceive the shopping/ product purchasing behavior of their customers. The m-commerce approach to retail business shows no sign of slowing down. In a survey conducted by one of the major websites stated that 88% of respondents stated they used retail apps, and 61% of those using retail apps are active once a month. By the end of 2016, m-commerce contributed $22.7 billion to online spending and accounted for nearly 21% of digital commerce revenue in the United States only. In the years to come, the mobile percentage of online spending is anticipated to double to an estimated 45% of the U.S. e-commerce market. Whether it makes sense to modify an existing e-commerce site to be mobile responsive or develop a brand new m-commerce app, it’s necessary for retailers to offer buyers with a more personalized shopping experience. Social media integration is very effective for generating brand exposure. With more than 2.5 billion active users on Facebook, Twitter, Instagram combined, mobile app development companies found its installations are proven to improve app performance and functionality. Yes, you can link content to social media channels with a mobile site, but social media integration produces the best results when it’s inherent to an app’s configuration. Apps that invite users to register with existing social media accounts dramatically improve the user experience. This feature simplifies the login process by eliminating tedious activation forms and reduces abandonment rates by giving users instant access to content. Mobile apps one-up mobile sites through the integration of inbuilt smartphone components. Tapping into GPS features and camera access can dramatically enhance satisfaction by adding a convenience factor to the user’s shopping experience. Apple Pay and Android Pay extensions also complement the user experience by improving functionality. Users can receive location-based information about product availability and sales. Retailers can get even more personal by sending tailored push notifications with offers and coupons when customers enter a physical location. Mobile apps can also do some pretty amazing things with camera access. Augmented reality (AR) is taking the retail world by force with apps like Ikea Place, Sampler by Converse, Sephora Virtual Artist, etc. Artificial Intelligence (AI) and Machine Learning (ML) are transforming the face of the retail and mobile app development industry in terms of data mining and personalized experience. These technologies take advantage of the consumer’s preference for involuntary experiences. Smart apps enable retailers with the technology to personalize product and inventory to a consumer’s changing preferences. Moreover, retailers can leverage contextual marketing tactics in a way that is both relevant and valuable to the consumer. For instance, Burberry, a leading UK-based fashion company offers a number of loyalty and benefit programs that call for users to share profiling information, which the brand uses to offer recommendations and rewards. Burberry has also created a strategic link between both online and offline retail landscapes with AI technology. Customers can use their smartphones to scan barcodes in-store and receive product information, manufacturing details, and other instructions. Are Responsive Websites Good Enough? Developing a mobile responsive e-commerce site can be an affordable and effective way to put digital storefronts into the hands of consumers. Basically, developing a mobile responsive site is less time-consuming. However, users expect a quality and functionality that most of the mobile sites sometimes fail to deliver. Many retailers are still determining the right way to unify mobile experiences with their existing business strategies. A major area for improvement lies in alleviating the buyers’ frustration with mobile site navigation. M-commerce enterprises fail to produce results when users are faced with performance and usability issues. Factors like loading times, short images, lack of relevant information, and network availability all present the same problem. It impacts badly on shopping experience of your online website. Today’s tech-centric consumer has revolutionized the value criteria for traditional retail, demanding more personal, consumer-conscious shopping experiences from retailers. Mobile apps are a lucrative resource for delivering the most appealing and functional, digital storefronts, and simultaneously serve as a measurement tool to track and improve online shopping conditions. Mobile applications are becoming a deep-rooted part of user’s day-to-day routine. While businesses can’t even imagine marketing their product and services with no digital presence. Thus e-commerce website and a mobile app is a duo which helps you grow your business at lightning speed. Thus, if you want to develop a brand new mobile app for your online based business, we are here to help you. Panacea Infotech is one of leading mobile app development company, having gigantic experience in enterprise mobile app development. Our team of experienced developers analyze and understand your business requirements thoroughly and apply effective development tactics.